Written in a clear and concise A to Z format, Decoding the Lost Symbol is the essential guide to the thrilling third Dan Brown novel to feature Harvard symbologist Robert Langdon, The Lost Symbol. Decoding the Lost Symbol takes you on a journey of discovery through the world of Dan Brown and Robert Langdon, opening up the real mysteries and historical facts that are the basis of The Lost Symbol. Set over a breathtaking twelve hours, The Lost Symbol creates a world of intrigue and mystery based around the city of Washington DC. 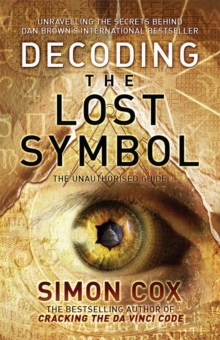 You will discover the amazing truth behind the storyline in Decoding the Lost Symbol, the must-have definitive guide to the Dan Brown novel. 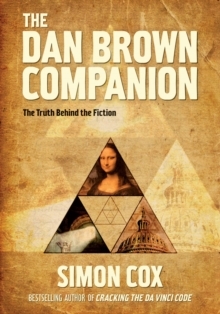 Simon Cox is the world-renowned expert on the mysteries of Dan Brown, having already authored the international bestseller Cracking the Da Vinci Code, Illuminating Angels & Demons and The Dan Brown Companion. His guides are essential reading for all fans of the Robert Langdon series of novels and are available in more than fifteen languages.